Jacksons Lane supports hundreds of circus artists and companies in many different ways each year. 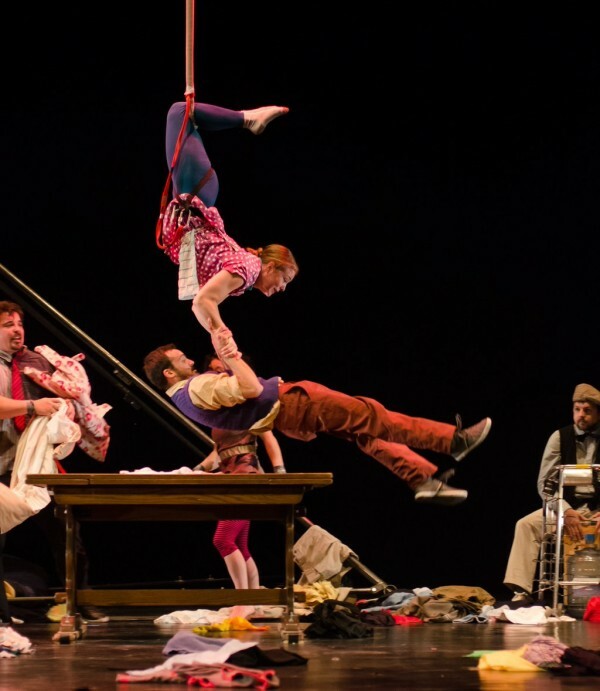 Accessing space in which to create new work is the biggest challenge for most circus artists, both established and emerging. 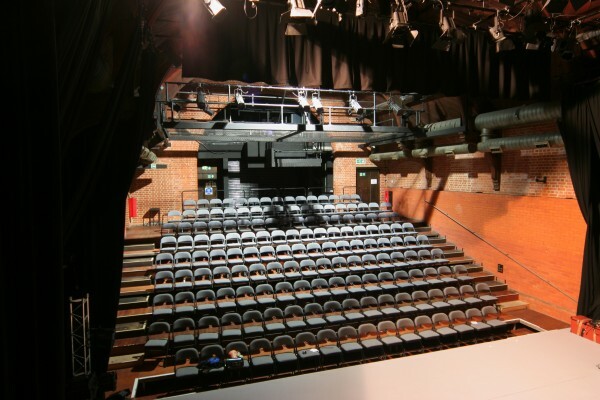 Through utilising our theatre, with its specially adapted rigging facilities and it’s seven metre height, we are able to support most circus disciplines, particularly aerial work. Through our additional five studio spaces we can offer more support for ground-based disciplines and dance/circus hybrid work. We offer residencies each year through our Transmission and Hangwire programmes. Transmission offers full technical support and unrestricted access to the theatre for larger-scale ensemble works, whilst Hangwire offers space and support for solo/duo work and short-form ideas. Through our many national and international partnerships, we offer residencies in addition to our own space, with networking and showcasing opportunities. These have taken place across the UK and internationally at such venues as The Black-E (Liverpool), The Point (Eastleigh), Seachange Arts (Norfolk) and Subcase (Stockholm). We are also a partner for Resolution at The Place, presenting two circus companies each year in their annual contemporary dance festival. We work with many global countries to offer performances and residencies at Jacksons Lane. In recent times this has seen companies such as: Plexus Polaire (France/Norway), Gabriela Muñoz (Mexico) and Fauna (Australia) performing at Jacksons Lane in the London International Mime Festival; the Palestinian Circus School and Ilona Jäntti (Finland) during CircusFest 2018; and a specially commissioned 2016 showcase, Pinta/Wiredo, for new Finnish work in partnership with Sirkus Info and the Finnish Institute. We offer time with our skilled team in many areas such as technical, marketing, fundraising and grant-application writing, to ensure they have a well-rounded view of the sector and the circus industry. From time to time Jacksons Lane offers commissions, both for longer runs such as Gandini Juggling’s META, and also for our annual circus and cabaret event Postcards Festival, when we welcome guest programmers and curators. Jacksons Lane has supported some 50 touring productions since 2012, including most recently Circumference's Staged, Nikki & JD's Knot, Hanna Moisala's Lola and Wiredo, and Alula Cyr's Hyena. In 2015/16 we embarked on our first ever national larger-scale tour, across 15 UK cities as part of Arts Council England’s Strategic Touring Programme, with Lost in Translation’s The Hogwallops. We have also taken our associate artists Silver Lining to a big top at The Roundhouse, to the Underbelly Circus Hub for Edinburgh Fringe 2016, and to large festivals such as Shambala, Tralee and Greenbelt. Read an interview with Jacksons Lane’s Artistic Director Adrian Berry about our support for circus here.